Have You Been Injured at a Construction Site? Serious injuries frequently occur at or near construction sites, including road construction injuries, and building construction injuries, and unfortunately, many of these accidents are fatal. 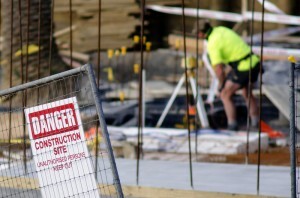 If you’ve been injured in a construction site accident, your claim may be brought under a number of legal theories, depending on the reason for your presence at the construction site and the way in which you were injured. Michigan’s law differs, depending on whether you are a private citizen injured on a construction site, or a construction worker who was injured on the job. In most cases, the private citizen may bring a negligence claim against the construction company, and in some situations, may also make a claim against the owner of the premises on which the construction is being performed. Construction workers, however, may only bring such claims in certain situations, namely those in which they can bypass the Michigan Worker’s Compensation statutes. There may also be a number of complicated evidentiary proofs associated with construction claims. Because construction claims are, by their very nature, constantly changing, the need to secure evidence quickly is of primary importance. As such, any person injured on a construction site, regardless of whether they were employed on that site or not, is encouraged to contact an attorney as quickly as possible, to ensure that pertinent evidence can be preserved and their claim remains viable.